It takes a rare talent to be able to make a large band sound small in terms of agility as well as in the transparency and lightness of orchestration, and vice-versa some measure of genius to make a small band seem big. This band sounds huge. And let's not forget, modern. New is in a rare supply these days, but you found yourself some new right here. Track by track and blow by blow descriptions leave one breathless. This powerhouse ensemble transitions with ease from sections of incredible sensitivity to vignettes of intensity rivaling that of his own Big Band. The Small Group latest album "Artful Joy" features Bob Mintzer and Gretchen Parlato. "This is an album with many different sounds and atmospheres and a huge variety in instrumentation"
"If even jazz, then different. You can hear in these days again. Different means: not a piano trio, nor an acoustic quartet, no standards, no AABAForm ... The list of potential factors of boredom goes on and on. 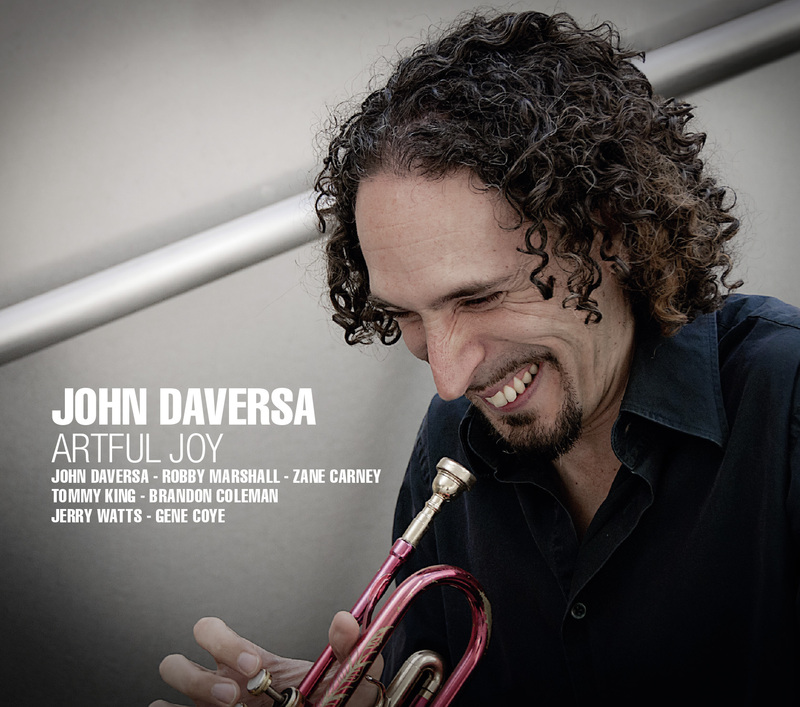 A trumpet player like John Daversa comes in the right moment. On his latest album is loud linernoter Peter Erskine anything "new"...."